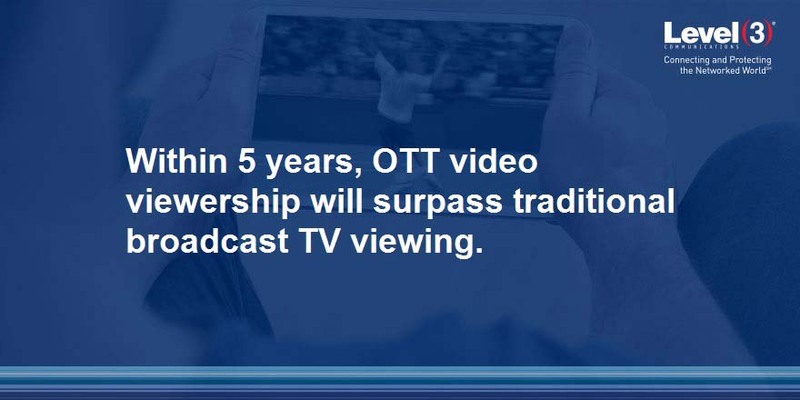 BROOMFIELD, Colo., April 20, 2017 – Within the next five years, viewership hours of live-linear streaming over-the-top (OTT) video will surpass those of traditional broadcast TV, according to close to 70 percent of respondents in the 2017 OTT Video Services Study by Level 3 Communications, Inc. (NYSE: LVLT), Streaming Media and Unisphere Research. 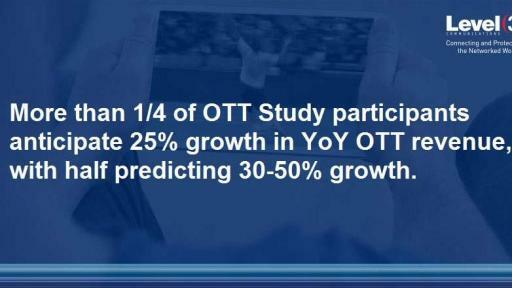 The third annual survey on OTT trends was based on responses from almost 500 media industry professionals. 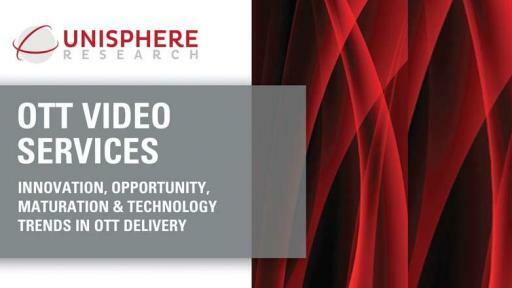 2017 OTT Video Services Study by Level 3 Communications, Inc. (NYSE: LVLT), Streaming Media and Unisphere Research. 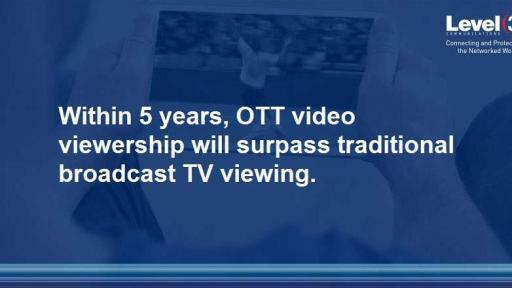 The OTT industry is booming. 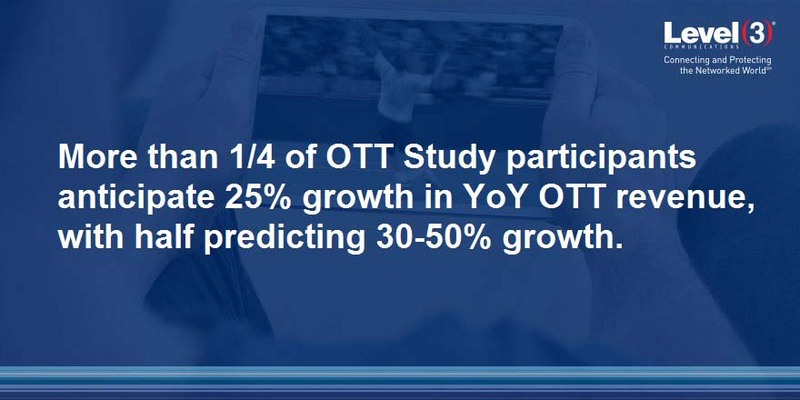 More than a quarter of participants expect OTT year-over-year revenue growth 2016 to 2017 to increase as much as 25 percent, and about half of respondents anticipate growth of anywhere between 30 to 50 percent. 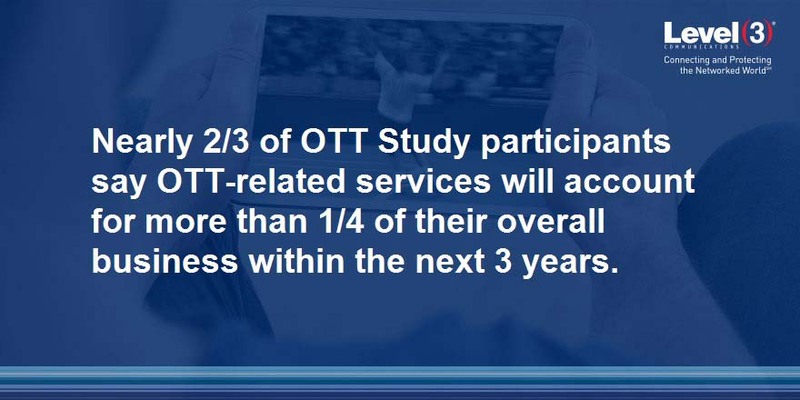 Over the next three years, OTT-related services will account for more than a quarter of their overall business, according to nearly two-thirds of respondents. Almost 70 percent of respondents offer OTT services globally or across more than one geographic region, and, accordingly, about half of respondents employ multiple CDNs, up from 40 percent in 2016. 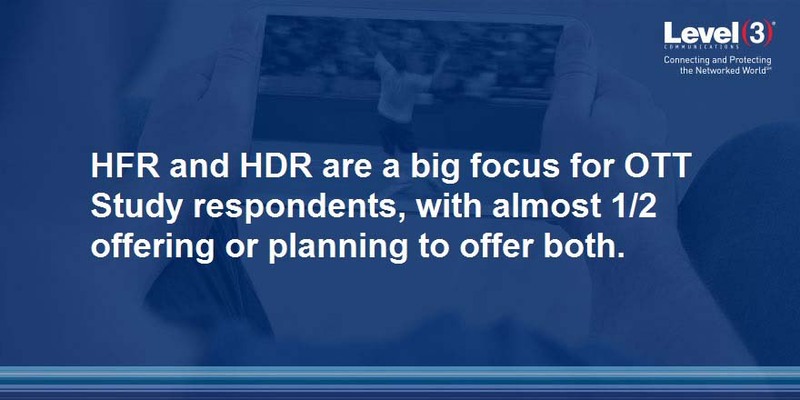 While VR-video garnered notable attention in the 2016 OTT Study, this year’s respondents are focused on both higher frame rates (HFR) and high-dynamic ranges (HDR), with almost half of respondents offering or planning to offer both options. 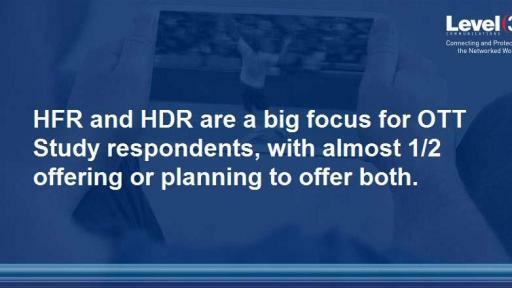 An additional 20 percent are focusing only on HFR delivery, such as 1080p60, which is often used to smooth out sports content. 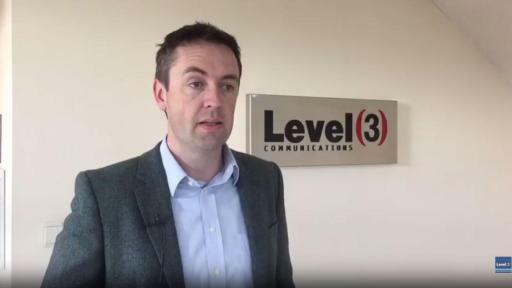 OTT-provider maturity level affects the type of video content being offered and planned. 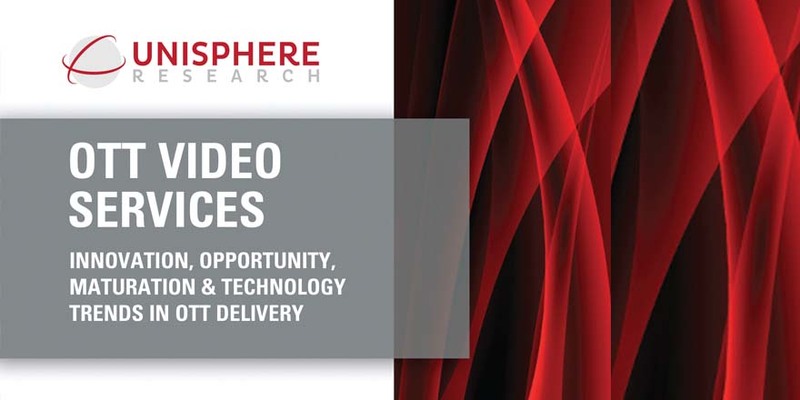 Less mature providers are most interested in live events and video-on-demand (VOD) content, while the more mature providers with current OTT service offerings demonstrate more affinity for live-linear OTT, either today or as a planned offering within the next two years.